This entry was posted in Uncategorized on February 27, 2017 by Gary. Well our stops were hit so we are now back in cash. The leveraged portfolio is up 158%. The unleveraged metal portfolio is up 82%. 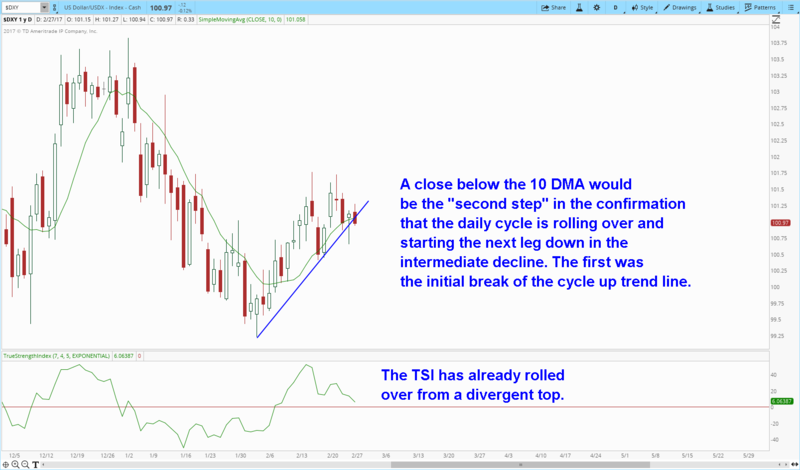 Now we will have to watch and try to determine when the daily cycle has bottomed and then decide if we want to reenter. We made some nice profits on this rally and I may just decide we made enough and we’ll wait for the next ICL in May or June. In the meantime there should be a DCL in the stock market sometime soon and that may be the next long trade opportunity when it occurs. This entry was posted in Uncategorized on February 25, 2017 by Gary. 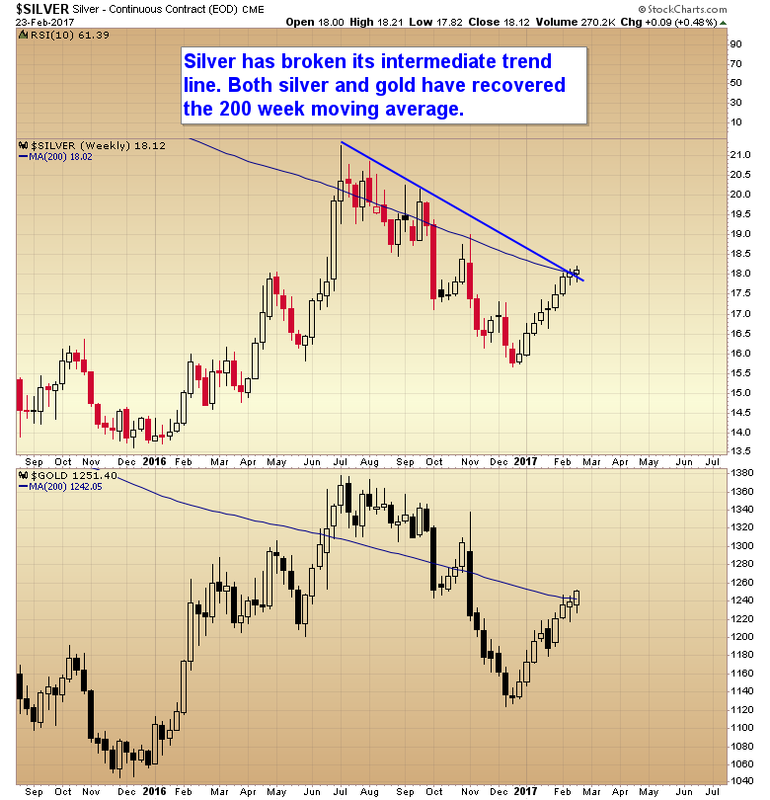 CHART OF THE DAY – MINERS NEED TO LEAD THE METALS? 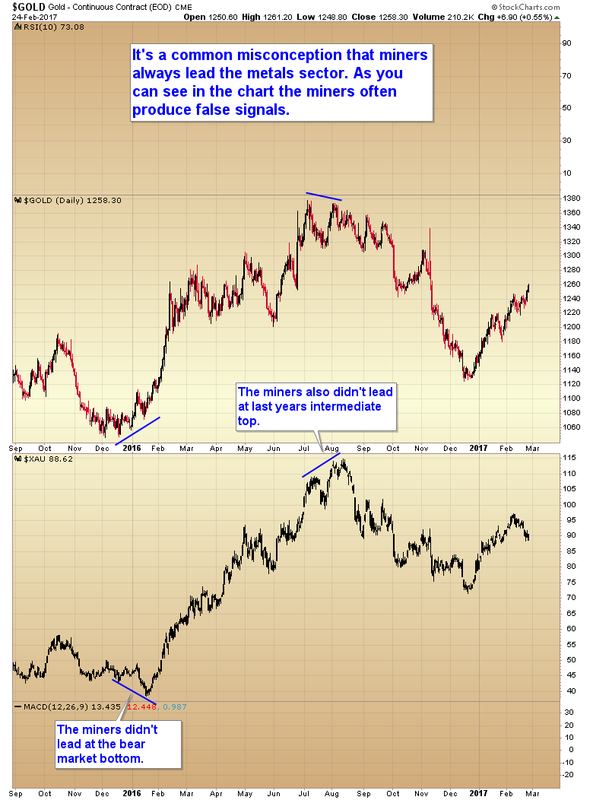 Do Miners Need to Lead the Metals? This entry was posted in Uncategorized on February 24, 2017 by Gary. 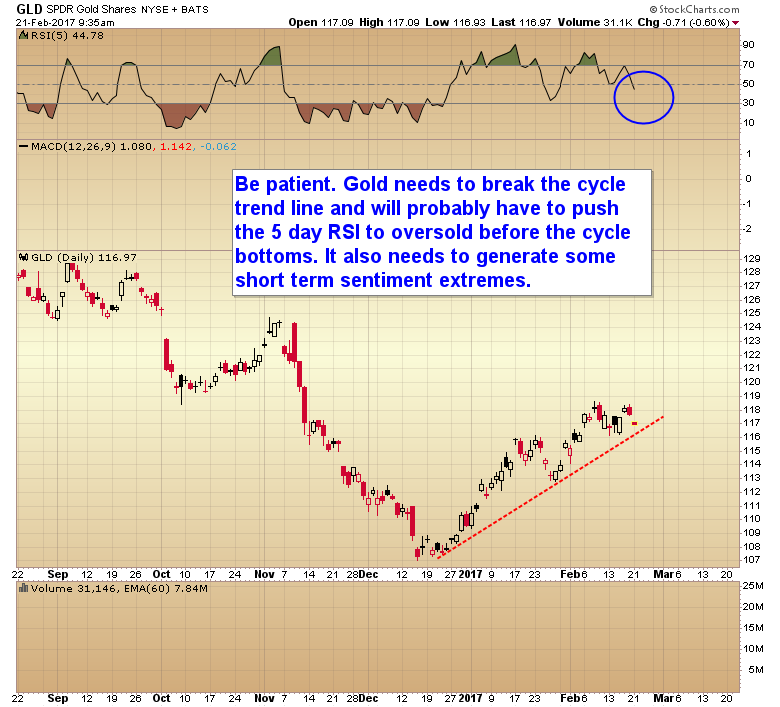 The next leg up in a new daily cycle for the precious metals has begun. 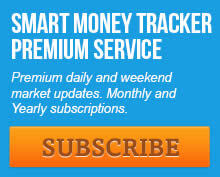 Silver is breaking away above its 200 dma with little resistance now until it reaches $19. Gold is approaching its 200 dma and once it breaks through that resistance is expected to top somewhere above $1300+. This entry was posted in Uncategorized on February 23, 2017 by Gary. This entry was posted in Uncategorized on February 22, 2017 by Gary. This entry was posted in Uncategorized on February 21, 2017 by Gary.